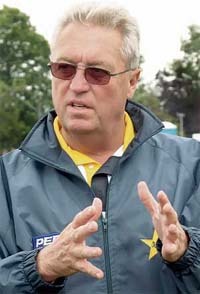 Bob Woolmer – the coach par excellence – passed away yesterday night. The man who converted the South Africans to a world beating side in a very short space of time is no more, apparently unable to handle the pressure of Pakistan making a very early exit from the tournament. I think it is about time we rethink the game. May 14, 1948 – March 18, 2007.